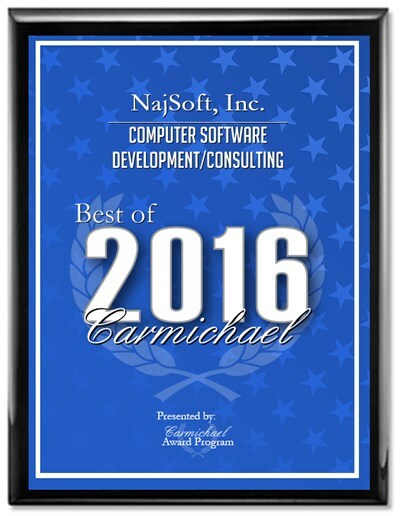 NajSoft was established by highly motivated software professionals with huge working experience with the leading clients in IT industry. NajSoft has been engaged in providing software solutions for on-site, off-site, offshore, outsourcing and remote services to the clients in USA and abroad. We provide solutions for a dynamic environment where business and technology strategies converge. Our approach focuses on new ways of business combining IT innovation and adoption while also leveraging an organization's current IT assets. We work with large global corporations and new generation technology companies to build new products or services and to implement prudent business and technology strategies in today's dynamic digital environment.